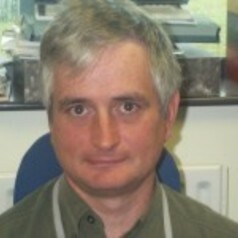 Prof. Nick Beresford (@Radioecology) has been a radioecologist for over 30 years and has published extensively. He is a Group Leader at the Centre for Ecology & Hydrology and is an honorary professor at the University of Salford. His resource focus was originally the transfer of radionuclides to farm animals and countermeasure to reduce exposure of humans to radioactivity. Since about 2000 he has been one of the leading scientists developing and testing models to estimate the radiation exposure and resultant risk for wildlife. He is one of the key developers of the ERICA Tool (http://www.erica-tool.eu/). He has collaborated with scientists in the Chernobyl Exclusion Zone since the mid-1990’s with studies investigating farm animals, crop plants and wildlife. He chairs an International Atomic Energy Agency (IAEA) MODARIA programme working group on comparing and improving methods of assessing the exposure of wildlife to radiation. Nick is contributing to the development of assessment methodologies for both the IAEA and the International Commission on Radiological Protection. Currently Nicks research interests, in collaboration with Mike Wood and other colleagues, include the development of new methods of determining the transfer of radionuclides to wildlife and the application of trap cameras in the Ukrainian Chernobyl Exclusion Zone to assess mammalian abundance and diversity (http://www.ceh.ac.uk/tree).